The following is a review and giveaway of this CD sponsored by FlyBy Promotions. We've been praying for friends in Tennessee. Places near to our heart there aren't standing any more, and Christmas will surely be different this year for many who live there. This CD shares of memories including Amy Grant's Tender Tennessee Christmas song I remember first hearing years ago. We have over 5 pages of Christmas CDs in our big storage case, but we still like listening to new ones. We started playing it before Thanksgiving this year. I'm also giving away one of these CDs! The winner must be from the continental U.S only (NO Canadian winners will be accepted) and must reply within 48 hours of notification and share address to get to the publisher for shipping. To enter for a chance to win, leave a comment below sharing your favorite Christmas song. Winner will be randomly chosen on Friday December 9, 2016 using a random number generator. Be sure to enter my giveaway for a Bible Journaling Kit, too. 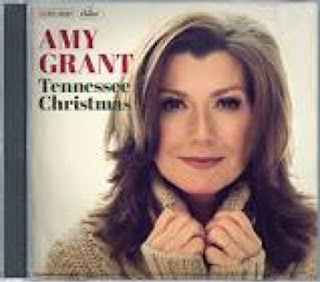 I absolutely love Amy Grant's Christmas music, so I was planning on picking this one up too. My hubby and I were hoping to see her and Michael W Smith in their Christmas tour this year, but it didn't work out. Anyway, my favorite Christmas song is O Holy Night. Gorgeous musically, and lyrics that tell the whole gospel. Love it. I would love to win. A favorite Christmas song is O Holy Night.